So far this year we have identified six broad phases for the US Dollar which have lasted from a couple of weeks to two-and-a-half months. 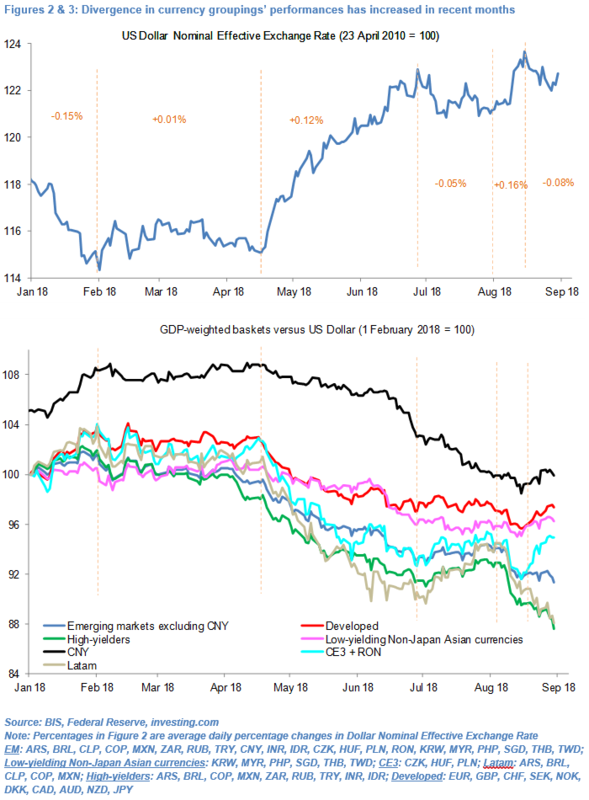 This provides a useful starting point to analyse how the Dollar, Renminbi and major currency groupings, including developed and EM currencies and low-and high-yielders, have performed during these distinct phases and how they may fare going forward. 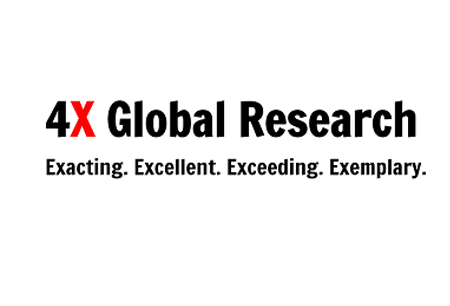 A number of inter-related themes, which we will detail in future research reports, stand out. Until early July currency groupings moved broadly in the same direction but since then and in particular in the past month currency groupings have either appreciated or depreciated at very different rates or moved in different directions altogether. This suggests that over the course of the year capital account flows, including “hot-money” flows, have reacted to greater divergences in individual countries’ macro-fundamentals, in governments’ reaction functions and in central banks’ monetary policies. Put differently FX market participants have become less prone to herd-like instincts. Indeed, markets are targeting the Argentina Peso, Turkish Lira and Brazilian Real and to a lesser extent the South African Rand and Russian Rouble, currencies of economies which meet one or more criteria, including large current account deficits, slowing economic growth, reasonably passive central banks and idiosyncratic risks. There is much talk of Dollar “strength” but it is broadly unchanged from two months ago. Markets, which are already pricing in a high probability of the Federal Reserve hiking rates 25bp twice more before year-end, may be reluctant to push this pricing higher. This, in turn, may cap any Dollar gains particularly as the Euro, up about 2.7% in NEER terms in August to a new multi-year high, is proving an attractive alternative to the Dollar during periods of heightened market risk. For the full research note, a free 30-day trail is available.